Saga's Cottage : Autumn Celebrations! 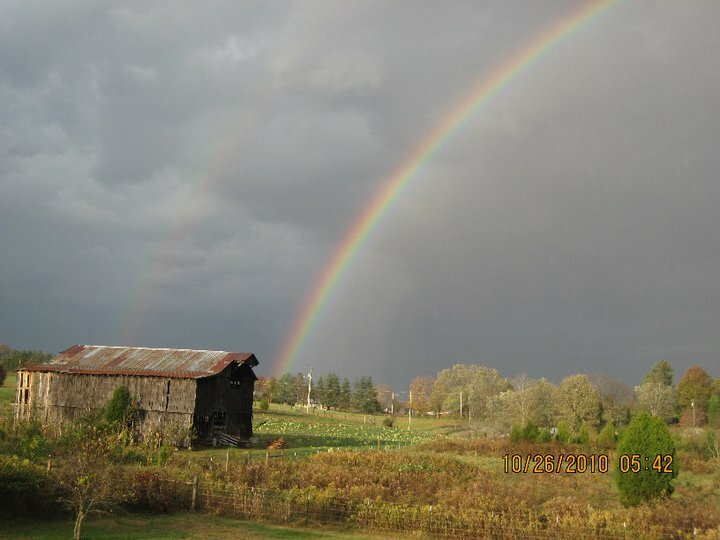 A pic of my backyard view, after a storm, a few years ago. Firstly, I would like to thank everyone for your patience with me during my break. My best friends CT scan came back good, so even though she will still be having surgery, she does not have cancer. I will be celebrating with extreme thankfulness this Mabon. I am also looking forward to the birth of a 2nd grandson in less than a month! So, can you feel Fall making its way to you? The mornings, this past week, have had a chill to them and they have been a bit foggy. I can't wait for the days to hear the leaves crunching under my feet. I made a batch of butternut squash soup and it brought fall happiness to my mouth. Just around the corner will be corn mazes, pumpkin patches and rides on my bicycle on the pathways with newly fallen leaves. The ancient Mayans were extremely adept in astrology, accurately predicted the equinoxes. Today's Mayan still celebrate the turn of the wheel to Autumn. Several Native American tribes celebrate what is known as The Green Corn Festival. While it doesn't fall exactly on Mabon, it is celebrated around this time. This festival date is up to the ripening of the corn. It is a time of thankfulness and forgiveness, and is celebrated at full moon. It lasts for several days. I hope you enjoyed my little "trip" around our beautiful planet highlighting the autumn celebrations. Please, if you would like, let me know how you celebrate. Love that picture and so glad that your friend is not facing the horror of Cancer. A very happy Equinox to you and yours! It was thank you :) a very magical and special time. I too have a friend who has dodged a bullet cancer wise - similar relief all round here too.